Chariot Motors’ e-bus has made its trade exhibition debut at ElekBu 2015, the Berlin electric bus show. Described by the manufacturer as ‘Europe’s most advanced electric bus’, the vehicle runs on an ultra-capacitor in place of batteries and its makers claim it can travel up to 20km on a single, rapid charge. B&CB finds out more. e-bus has been in ‘successful operation’ for almost a year in Bulgaria. 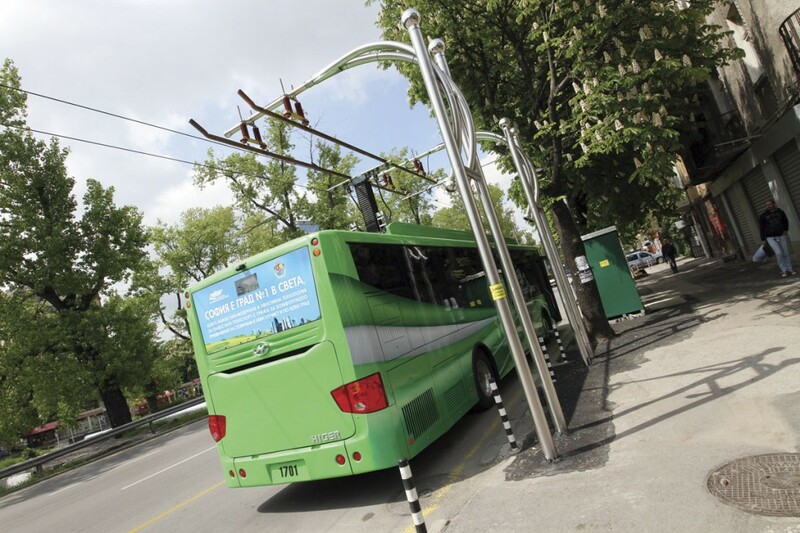 Launched in the country’s capital, Sofia, in May 2014, it was developed as an environmentally friendly solution to resolve the city’s severe pollution issues. It is a place known for having the highest concentration of sulphur dioxide and carbon monoxide in Europe. 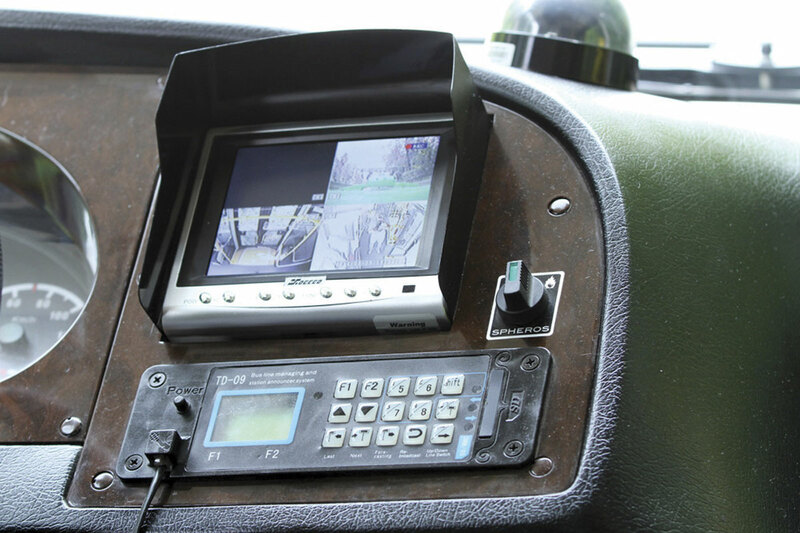 The vehicle is the result of a collaboration between Chariot Motors, Higer and ultra-capacitor developer and producer, Aowei. The vehicle’s ultra-capacitor technology has been described as ‘cutting edge’. It enables the bus to capture energy from braking and use it with rapid charging to reach previously unachievable ranges. The BELICON laboratory of the University of Landshut independently assessed the Chariot e-bus in real operating conditions during October of last year. The research team monitored the energy performance of the bus during charging, driving and standstill ‘idle’ periods along the route. The study revealed that the vehicle operates with ‘unrivalled’ low energy consumption rates, consuming over an average day only 0.95kWh/km without air conditioning. 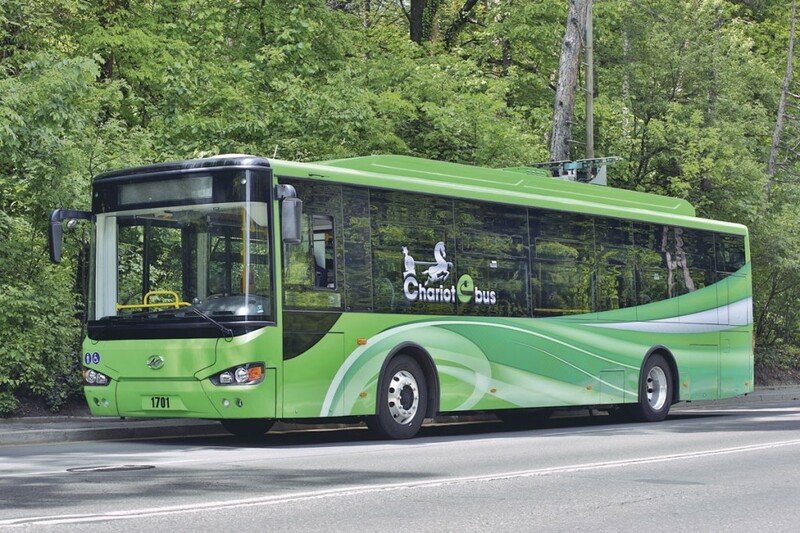 A regular battery bus operating on the same route would typically be expected to return a daily average of 1.5 kWh/km. BELICON also found that Chariot e-bus’ delivered average energy recuperation of 32.2%, with peak energy recuperation of 39%. According to the research, it can reach speeds of up to 65 km/h and cope with the challenging hills along the route it was tested on. During the vehicle’s use in Sofia, robust operational performance of the ultra-capacitor has been confirmed within the range of -12 C to +35C (The manufacturer indicates a possible –25C to +70C ambient temperature operating range). 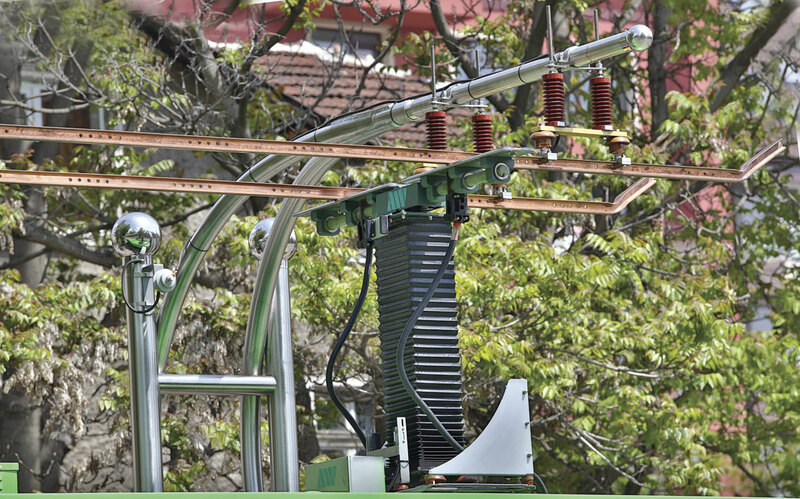 Unlike a trolleybus, the Chariot e-bus does not require overhead power lines throughout, reducing infrastructure and maintenance costs. It also reuses its own self-generated energy from braking rather than being reliant on other vehicles to take and return power to the network as happens with trolleybus regenerative braking systems. Chariot e-bus is currently in operation with the city transport operator, Stolichen Elektrotransport, under a year long pilot programme in Sofia. The vehicle is not expected to pollute at all in the city, with the manufacturer claiming it has a carbon footprint half that of the diesel buses. Chariot believes it will result in ‘significant national energy savings’. It claims the e-bus is four times less energy intensive than diesel buses and five times less energy intensive than CNG buses. 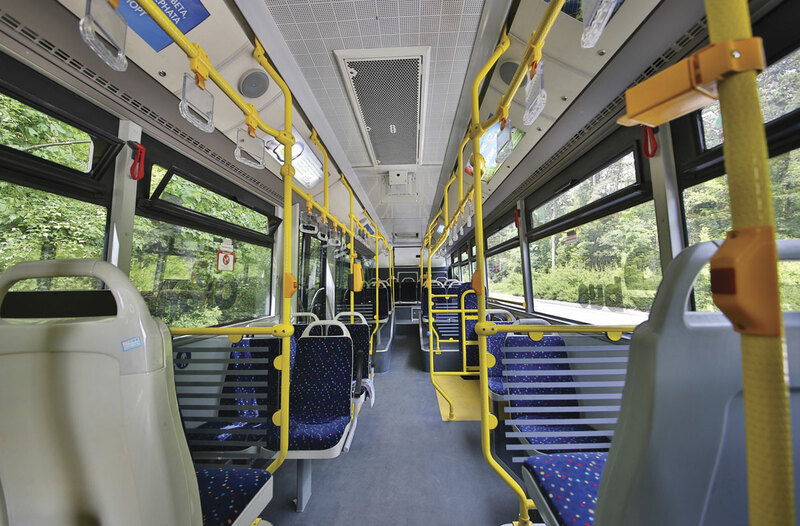 Chariot claim a benefit of the e-bus includes low maintenance, with the vehicle having neither an internal combustion engine, a gear box, an exhaust system, a catalytic convertor or fuel injection systems, as well as no oil, fuel and air filters being required. No timing and driving belts are required, nor is a urea tank or injection system. Another benefit of the e-bus that the manufacturer highlighted was that it ‘will not produce any direct CO2 emissions’. Instead, only indirect emissions should be created from electricity generation, but the company claims this will be about half of that of a normal diesel bus. The advantages and credentials certainly sound impressive, but how likely will we see the Chariot e-bus come to the UK? It has currently only been developed for left hand drive, but there are plans in the pipeline for it to be built in right hand drive for this market. In terms of when it will come over here, 2016 was mentioned as a possibility. However, Chariot is just looking at its options at the moment and nothing has been confirmed. It is apparently in talks with manufacturers in terms of forming a partnership in the UK.